Make the world a greener place. 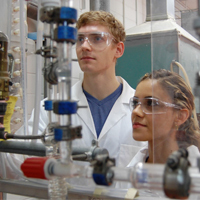 Chemical engineers design, develop and operate chemical and biochemical processes to make products, such as plastics, polymers, medicines, food, fuels, fertilizers, detergents, cosmetics, and consumer goods, at minimum cost in a safe and environmentally sustainable way. Improve society’s quality of life. Civil engineers make communities a safer place by providing essential infrastructure, solving environmental problems resulting from industrialization and resource consumption, and mitigating natural disasters. Design the next digital phenomenon. 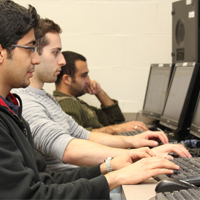 Computer engineers design hardware and build computer systems ranging from high-performance parallel supercomputers to micro-devices that will operate the next generation of cell phones, medical equipment, and video games. Power the future. 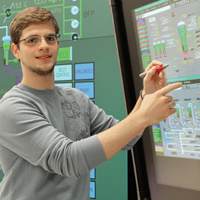 Electrical engineers harness electrical energy for human benefit through applications such as telecommunications, digital electronics, computers, robots, generators, electric power distribution systems, and electric cars. Change the world’s carbon footprint. 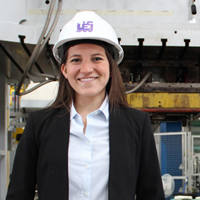 Green process engineers integrate the fundamental principles of chemical engineering to design commercial products and processes that are safe, economical and environmentally friendly by reducing waste generation. Become an innovative leader. Integrated engineers excel in management, are fluent in the languages of multiple engineering disciplines and are cognizant of innovative solutions. 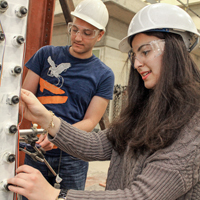 Our Integrated program was recently redesigned to address the innovation gap in Canada by developing engineering leadership and innovation skills. Design a better tomorrow. 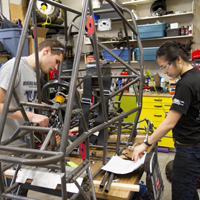 Mechanical engineers use fundamental engineering concepts and contemporary design practices to develop new devices, materials, processes and systems, including smart materials, automotive and aerospace systems, conventional and alternative energy systems, and robotics and controls. Offer new health-care solutions. 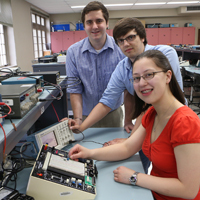 Mechatronic system engineers combine mechanical, electrical, computer, control, and systems design to create useful products. These principles help generate simpler, more economical, reliable and versatile systems in areas such as health care and rehabilitation. Develop the next big thing. Software engineers specify, design, implement, and maintain innovative software systems. They apply both computer science and engineering principles and practices to create, operate and maintain software systems.